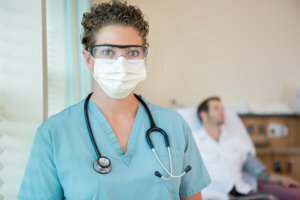 Golden Bridge Nurse Staffing offers a full range of healthcare staffing services and solutions that are specifically designed to meet the unique needs of clients. Our extensive screening and interview process helps us find the perfect candidates for full-time or part-time positions. Registered nurse – we match hardworking nurses with hospitals, healthcare agencies, schools, nursing homes, and other long-term care facilities. Nurse Practitioner – We have qualified Nurse Practitioners who can facilitate nursing care functions under the supervision of a physician. Physician Assistant – We have Physician Assistants who can harmoniously work with other Medical Professionals as well as when collaborating during the implementation of the patient’s care plan. Licensed vocational nurse – we keep your facility fully operational with the ideal licensed vocational nurse candidates. Psychiatrist – we supply the most experienced psychiatrists for rehab centers, hospitals, and other establishments. Psych tech – you can expect nothing less than best psychiatric technicians for your psychiatric staffing needs. Dentist staffing – we match dental practices with the ideal dental personnel. Dental assistant –we are dedicated to matching dentists with the best dental assistants. Licensed clinical social worker – we provide the ideal clinical social worker candidates for your agency. Certified nursing assistant – the best-certified nursing assistant candidates are here to boost your agency’s services in every way. It is our job to offer nothing less than top quality staffing services and solutions. For more on what Golden Bridge Nurse Staffing can offer, please contact our trusted coordinators today!